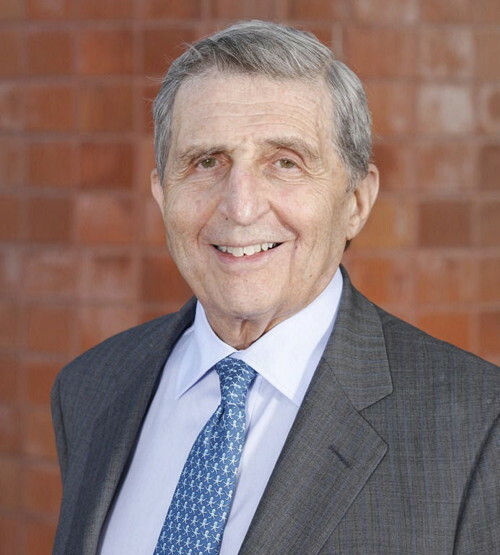 A $4 million gift from Ed Meyer '48 has established the Edward H. Meyer Professorship of Economics, the first newly endowed professorship in the universitywide Department of Economics. The merger has created a cohesive, powerful new unit, with a faculty of 50 and more than 700 majors and Ph.D. students. In 2011, just after the new economics department was formed, Meyer (right) visited Cornell for the first time since his graduation. 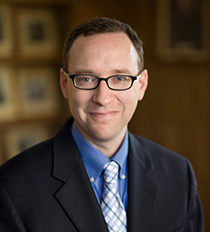 He met with students and administrators about the new department, which merged economics departments in the College of Arts and Sciences and the ILR School and includes joint-appointed faculty from the Samuel Curtis Johnson Graduate School of Management, the Dyson School and the College of Human Ecology. Kevin Hallock (left), the Joseph R. Rich '80 Professor and the Donald C. Opatrny '74 Chair of the Department of Economics, noted: "Having an endowed, named position like this allows us the ability to attract precisely the kinds of leading scholars we need to maintain our excellence and move toward our ambitious goals in teaching and research," he said. 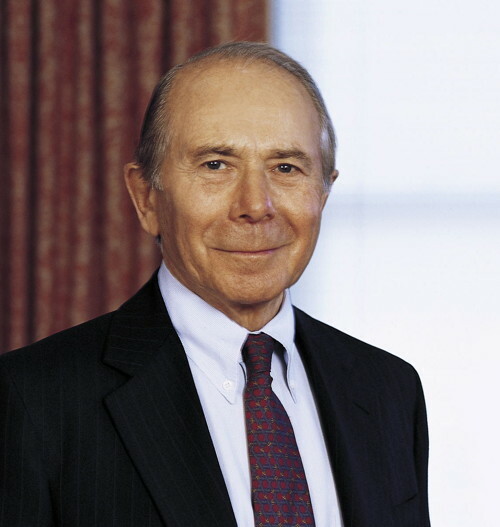 Meyer retired in 2006 as chairman, president and CEO of Grey Global Group Inc. (formerly Grey Advertising). During his 35-year tenure, Grey was transformed from a midsize U.S. agency into a global marketing communications powerhouse operating in 83 countries. 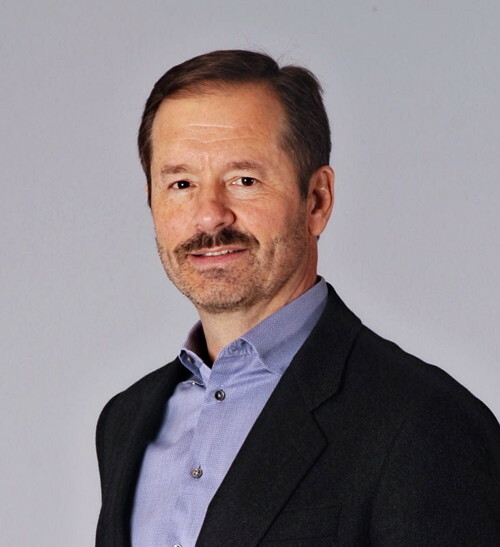 Meyer is chairman, CEO and CIO of Ocean Road Advisors Inc. Continuing their longtime support of Cornell and their dedication to advancing medical research and discovery, Maurice R. "Hank" (right) and Corinne Greenberg have committed $6 million to the College of Veterinary Medicine and $10 million to Weill Cornell Medical College through the Starr Foundation. The gift to the veterinary college will create two endowed professorships that will provide leadership in building an innovative research program focused on detecting, treating and curing diseases that afflict animals and possibly people. "This commitment will help us achieve our vision for clinical research, discoveries and treatments related to cancer and other complex diseases with a genetic basis," said Michael Kotlikoff, the Austin O. Hooey Dean of the college. "This is Hank's and Corinne's second gift to support our efforts, and we are deeply grateful for their continued generosity." The gift to the medical college will support the recruitment of Dr. Lewis C. Cantley, a leading cancer researcher, who was recently appointed director of the newly established Cancer Center at Weill Cornell Medical College and NewYork-Presbyterian Hospital. "The Starr Foundation is helping to shape the future of biomedicine by supporting multidisciplinary, translational cancer research that will transform patient care," said Dr. Laurie H. Glimcher, the Stephen and Suzanne Weiss Dean of the medical college and vice provost for medical affairs. "We are incredibly grateful for Hank and the Starr Foundation's leadership, ongoing commitment and inspired philanthropy." When Patricia King-Shaw and Rubén Jose King-Shaw Jr. '83 were starting to get involved in Cornell alumni activities, they met Cornell President Emeritus Frank H.T. Rhodes at a South Florida event they hosted. It was a night they never forgot. "Here was Frank Rhodes, a giant in academia, elegant, erudite. Yet, he could not have been warmer and more engaging," Rubén said. "In all these years, he has never forgotten us. Our relationship with him has helped us to grow." Eighteen years later, the King-Shaws (below) were reunited with Rhodes as Cornell and the ILR School dedicated the ILR Conference Center building as Patricia G. and Rubén Jose King-Shaw, Jr. ILR '83, Hall on Oct. 25. 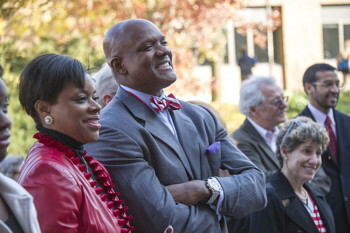 Rhodes delivered remarks at the dedication. "Rubén has been a trusted adviser, a tireless volunteer leader and an outstanding ambassador for ILR and its mission," said Harry Katz, the Kenneth F. Kahn Dean of the ILR School. "The King-Shaws' gift will help us continue providing the very best ILR educational experience for our students in the years ahead, and I know that's something Rubén and his family are committed to, as well." The King-Shaw family has a long history of supporting Cornell and other causes. At ILR, this includes unrestricted annual support as well as endowed funds established by Rubén and Patricia for diversity initiatives and scholarships. "Mentoring, giving, volunteering – these have always been a part of our family culture," said Patricia, who received a sociology degree in 1986 from the University of California-Berkeley. She owns Monument Style, a hair salon, in Concord, Mass. Rubén, managing partner at Mansa Capital LLC, a Cornell trustee and chair of the ILR Advisory Council, says this naming gift is especially significant to him since the building houses ILR's Ithaca conference center, where people come together to "discuss, share, learn and educate." "There are no issues today more important as those being addressed by the ILR School, whether it's helping people to learn how to resolve conflict, training leaders or focusing on jobs, working conditions and employment issues. And nobody does it as well as ILR does," he said. The King-Shaws are also glad that they can play a part in keeping the university's "any person, any study" message vital. "At the close of the Civil War and with the passage of the Morrill Land Grant Act, you had a new population of African-Americans, immigrants and farmers who now had freedom to pursue education on an equal basis. To have this school, Cornell, say that 'all are welcome here to compete on an equal opportunity basis,' is phenomenal. That message is still phenomenal," said Rubén. A generous gift from John S. Wold, M.S. '39, geology, has endowed the Wold Family Professor in Environmental Balance for Human Sustainability in the Department of Earth and Atmospheric Sciences. Wold (above) was inspired by Cornell President Emeritus Frank H.T. Rhodes' recently published book, "Earth: A Tenant's Manual," which deals with responsible stewardship of the Earth for future generations. The Wold professorship is designed to attract an individual representing the industrial side of sustainable resources who will bring a real-world perspective to students through teaching, mentoring and engagement with academic professors. John F.H. 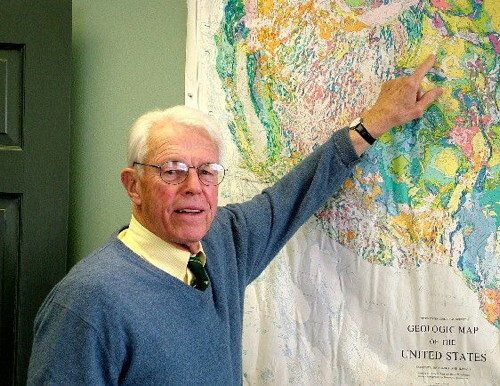 Thompson (right), a geoscientist who has spent three decades in mineral exploration, is the first Wold professor. He gave the inaugural Wold lecture Oct. 8, on "Mining in the Future: Earth Science, Technology and People."